For centuries, we as Black women have used our hair not just for simple aesthetics, but as a canvas. Our tresses are arms of creativity and voices for our culture we can use each and every single day. While the 80’s and 90’s were definitelyyyyyy heavy creamy crack years, there has been more appreciation for and education on natural hairstyles these days not to mention, more creatives emerging in the space. One of the most inspiring creatives in natural hair is Susy Oludele or as she goes by on IG, AfricanCreature. 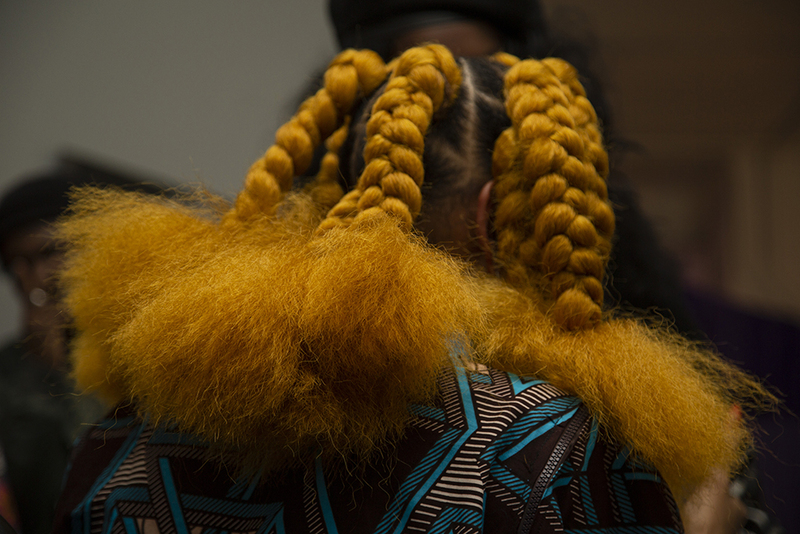 Susy’s signature, enigmatic styles have graced the tresses of Beyonce (yes, the Lemonade braids), Solange, Justine Skye, and more. Despite the famous clientele, anyone can make an appointment at HairyBySusy. Susy recently released her first book, Lady, filled with portraits that tell the stories behind her favorite styles. 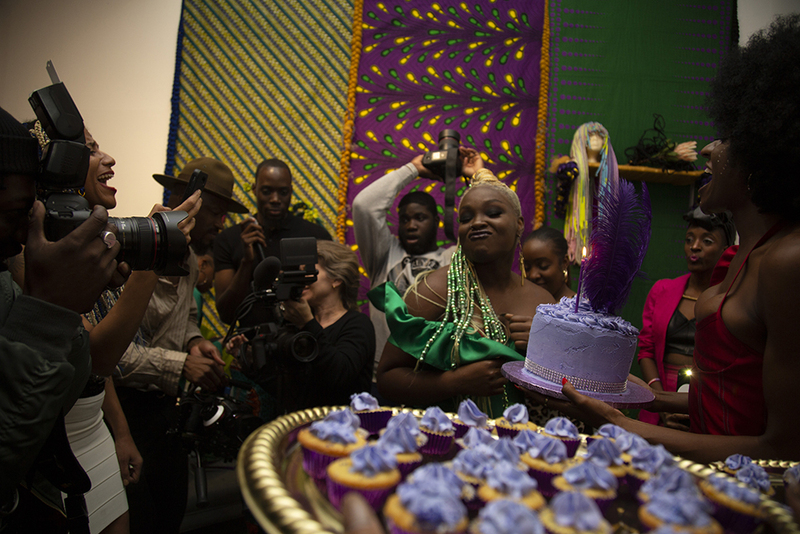 To celebrate the launch of Lady, Susy teamed up with Okay Africa for the Lady Exhibit — an exhibition embracing the strength and beauty of black women and our hair. 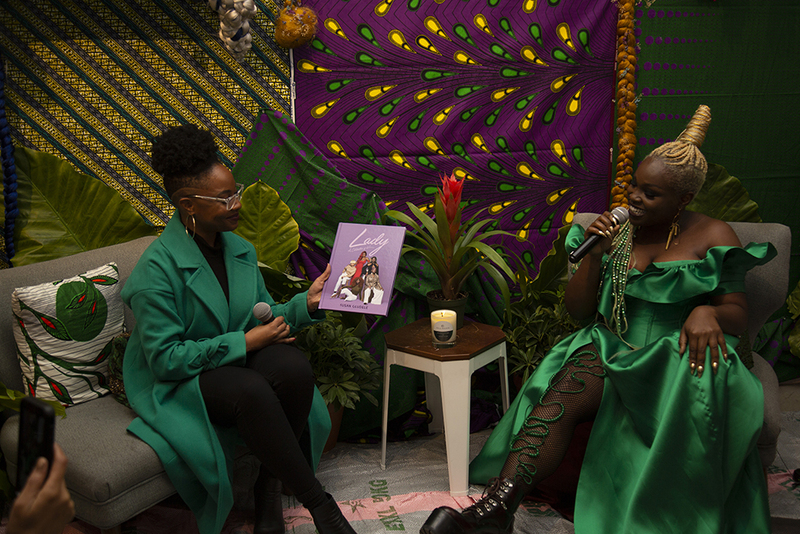 To put together the looks in the book, Susy partnered with several creatives who she felt are inspiring Black women within the beauty/lifestyle industries including; Kiitan A., Nneoma, Ronke Raji and Chizi Duru who she also honored during opening night. 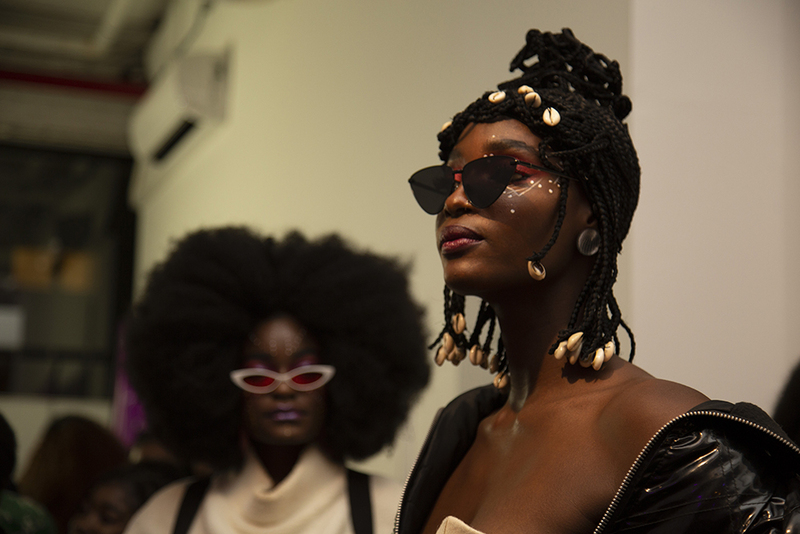 Opening night also included a live painting by Ike Slimster, spins from Odalys, dance performances, suya bites and a full-on fashion show with models sporting the latest from Eldior Sodeck. The event kicked off a lady empowerment week with events centered around living your best damn life. Throughout the week, attendees learned about health and wellness, financial literacy, and even got a hair tutorial from Susy herself. The week capped off with a good ol’ paint and sip because drinking with your girls while learning how to a sunset just soothes the soul. The racial bias in what’s considered “professional” at work has been an issue for too got damn long now. Y’all remember a couple years ago when it was discovered a Google search for “unprofessional hairstyles for work,” will show numerous photos of Black women sporting naturals like fro’s while a search for “professional hairstyles” only showed images of white women? This is a problem that has suffocated many women of color in the office, making them feel compelled that straight hair is the way to go if they want to be successful. 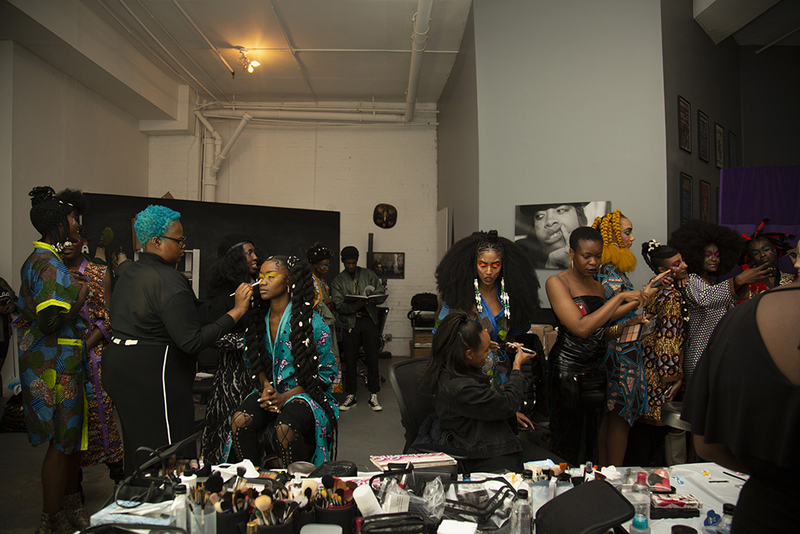 This association and stigmatization of hairstyles and conduct is just disrespectful to the culture and inspired Susy to create an exhibit to show how multifaceted natural hairstyles are, and how multifaceted we as Black women can be. Nothing should come between a girl and her swag and you shouldn’t have to hold back your creativity to get a bag. Growing up, Susy was teased for rocking braids. Hairstyles that made her feel good, that reflected her culture and her relationship with her mother was counter-culture to the then-popular straight, permed hairstyles that sometimes were pressured on young girls. Susy’s confidence in her creativity shines through her styles. She truly gets to know everyone who steps into her chair and every hairstyle is a true collaboration. Susy is notorious for using bright splashes of color in braids and playing with colorways and different braiding patterns to create one-of-a-kind styles. When speaking at the opening of the Lady Exhibit, Susy stressed the impact creatives have can have on society. There’s a power that comes with having a strong influence on others and for Susy, that power should be used to speak up for what’s right. 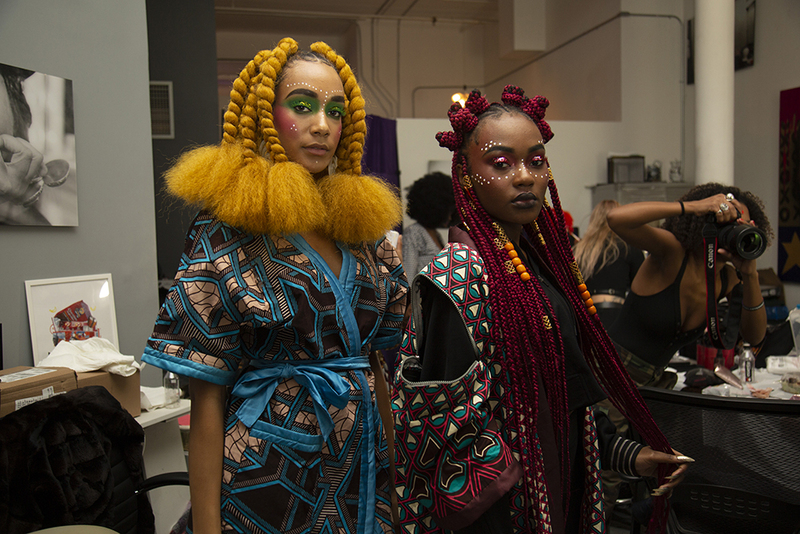 A lot of times traditional Black hairstyles appropriated by white women are considered to be trendy without giving credit to its origins in Black culture, so it’s important that we as black women embrace these styles in all aspects of life. 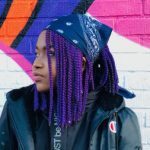 Lady shows various natural hairstyles that are sleek, but daring, hairstyles that push the boundaries of what many consider to be “professional.” Braids, twists, locs, styles that play with the complex and simple patterns and show the depths of techniques when it comes to Black hair. Along with staying true to your creativity, Susy attributes consistency as a strong factor to her success. We all know that being on the come-up as a creative is tough, a lot of times we’re balancing multiples jobs, getting no sleep, and not getting paid to do what we love. Being consistent is hard, but it’s important to success according to Susy, who’s consistency helped her build her empire from being in her apartment to her own storefront. 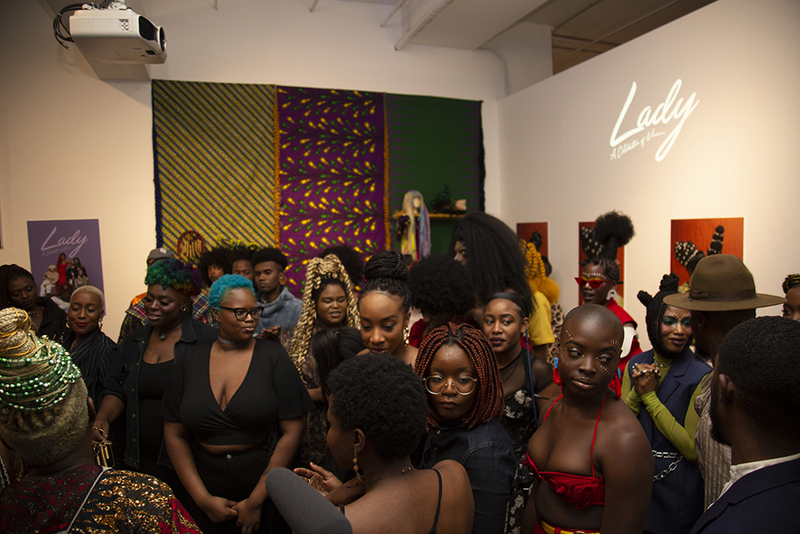 The Lady Exhibit was a moving event, a room filled with women and men celebrating and embracing so many facets of the special relationship between Black women and our hair. It was beautiful to see such eccentric expressions of creativity on canvases that aren’t always given the platform to do so. Susy Oludele is one hell of an advocate and provider of that platform that is inspiring women on a daily to flaunt their natural self.